As the latest U.S. jobs report hits newsstands, how did cities in the Chicago area do in terms of new jobs added last month? And which industries and occupations are attracting workers to the area most? Chicago has risen to first place among U.S. cities in hiring for software architects, according to new positions posted last month on jobs site Glassdoor. The city also ranked first in new job openings for social studies teachers and quality assurance managers. 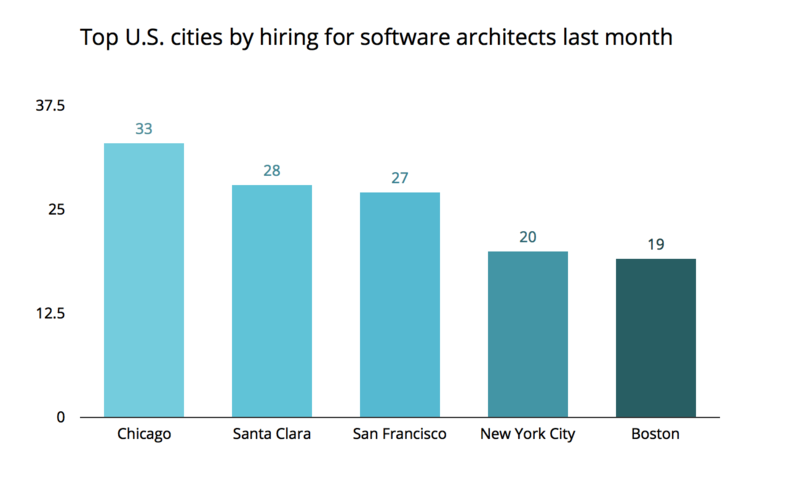 Comparing across the country, Chicago came in ahead of Santa Clara, California, the U.S. city with the second-most new positions for software architects last month. Santa Clara does have a much smaller population, at 122,725 compared to Chicago’s 2,714,017, according to 2016 estimates from the U.S. Census Bureau’s American Communities Survey. Other occupations are also in high demand in Chicagoland cities. For instance, Evanston ranked first among U.S. cities in new openings for registered dietitians. 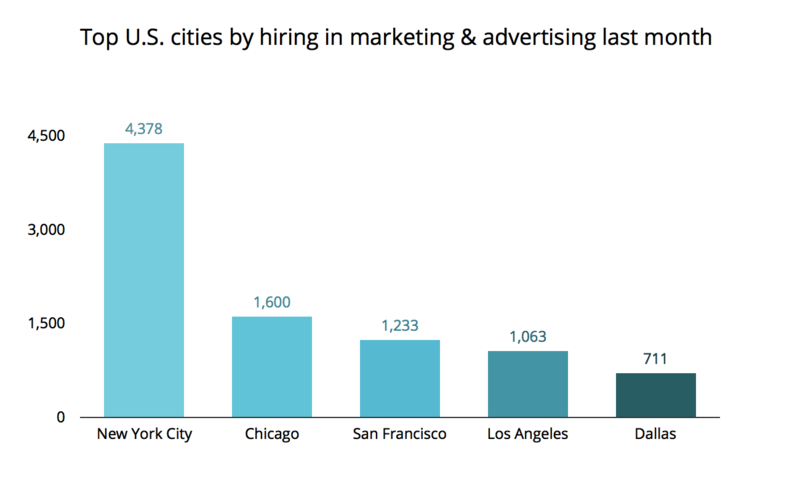 In terms of hiring by industry, Chicago did best in marketing and advertising, placing second among U.S. cities in terms of total jobs added last month by local marketing companies. The city also ranked second for new jobs added in the accounting and law and insurance industries, while New York City topped the rankings for new positions in marketing and advertising and accounting and legal services. If we focus on hiring by occupation relative to the local population, Chicago is most competitive in demand for bilingual teachers, placing eighth among U.S. cities last month in per-capita openings for that skill set. The city ranked 11th in new jobs for quantitative developers, and 15th for sales engineering managers, again relative to the local population. Looking for new opportunities in a field with strong local demand? Companies like GE Healthcare and NextCapital are bringing on software architects, and local education employers like Chicago Public Schools are hiring plenty of teachers. And among competitive local industries, marketing firms like Conversant and Market Track are hiring software engineers, operations managers, and more.